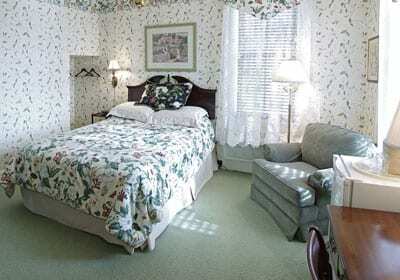 Whether you travel to seek out authentic experiences or just to enjoy a quiet romantic getaway, the Bird-in-Hand Village Inn & Suites in Lancaster County offers 24 unique, beautifully decorated rooms on a historic, upscale country property amidst the peaceful Amish countryside. Start your day with a complimentary deluxe continental breakfast and end it with a relaxing soak in a Jacuzzi tub (see our list of amenities). 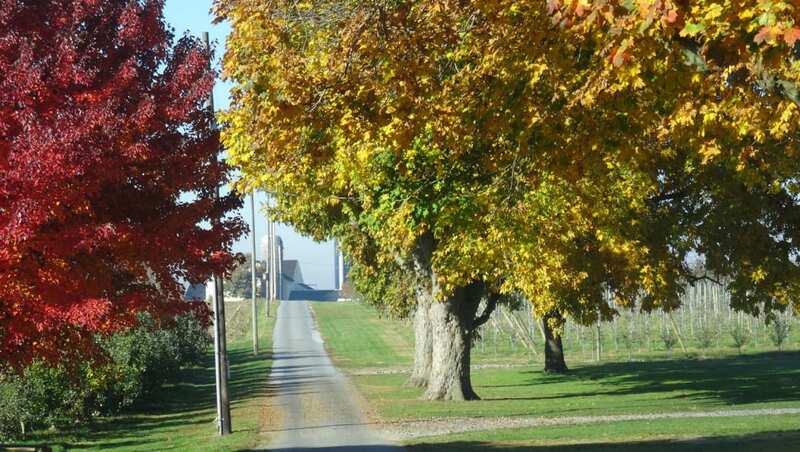 In between, enjoy all the best of Lancaster County. 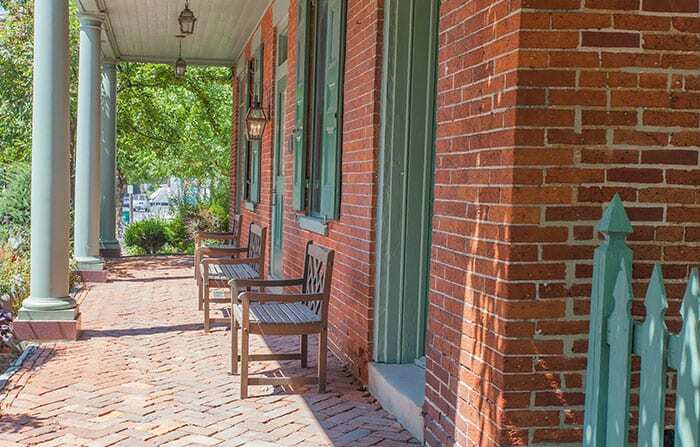 Shop at the nearby famous outlet malls or Kitchen Kettle Village. 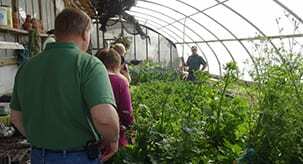 Go sightseeing in the surrounding countryside on our complimentary Amish farmlands guided tour (Monday-Saturday), exclusively for Guests of our lodging properties. Take in a show at Sight & Sound Theatres (just minutes down the road) or our own live theatre. 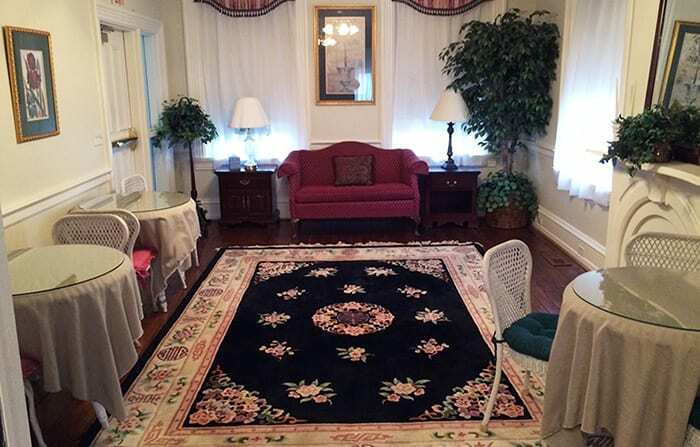 Our friendly, professional innkeepers carry on our deep-rooted tradition of hospitality and exceptional Guest service. They are here to welcome you and to help you make the most of your stay with us. 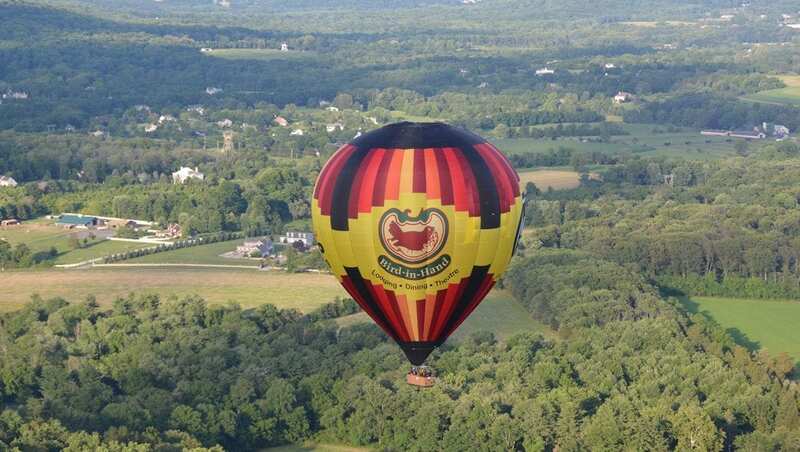 Be sure to ask about wine tastings, hot air balloon rides, our Farm-to-Fork and Harvest tours and other lodging experience packages designed to create lifelong memories. If you’re celebrating a special occasion, we would be happy to set the stage with custom enhancements to your room. For a modest additional charge, we can provide fruit baskets, sparkling cider and chocolates or cheese and crackers, or other items to make the moment more memorable. 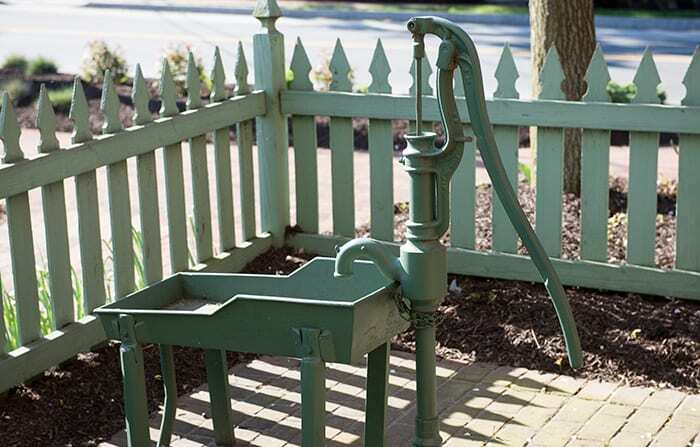 Shed the stresses of today’s world and step back in time. 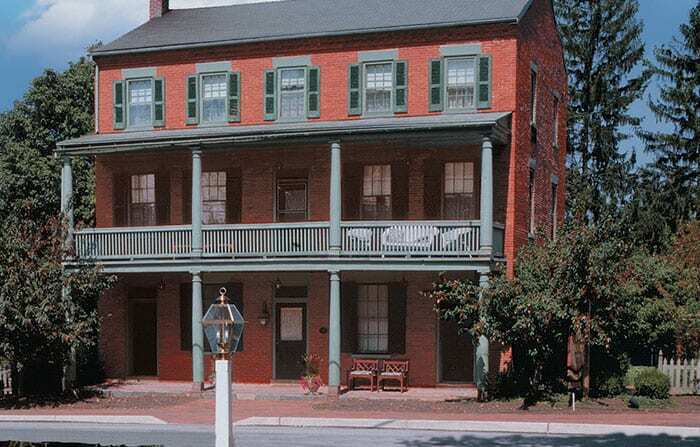 Our 18th Century Inn is listed in both the Lancaster County Register of Historic Places and the National Register of Historic Places. 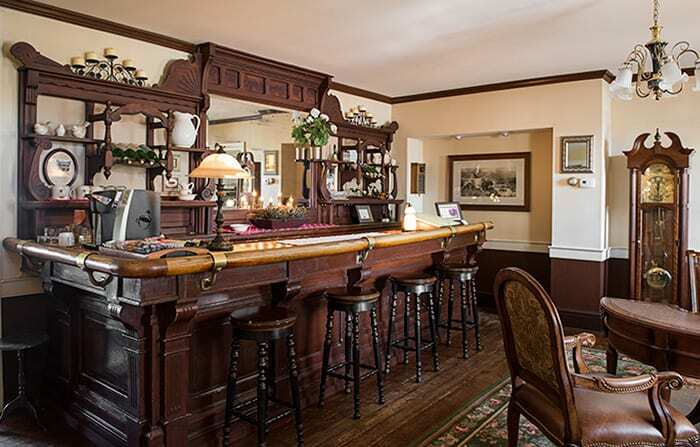 What used to be an 11-room Lancaster County bed and breakfast built in 1852 has been expanded to a 24-room Amish Country inn. 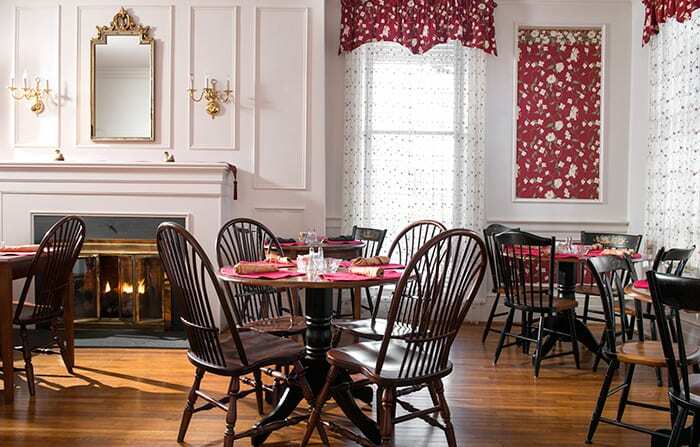 Each of the meticulously-decorated rooms and suites are tastefully decorated with period furnishings and modern amenities, and are located in four carefully-preserved historic buildings in the quaint village of Bird-in-Hand, PA. 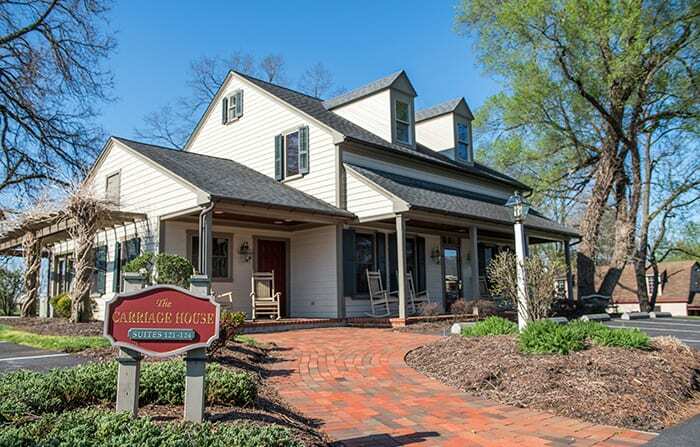 They provide the perfect retreat for relaxation in comfort and privacy, while putting you within walking distance of our popular Restaurant & Smorgasbord and our Bakery & Cafe, as well as a local farmer’s market, antique gallery, old-fashioned country store, hot air balloon rides and more. 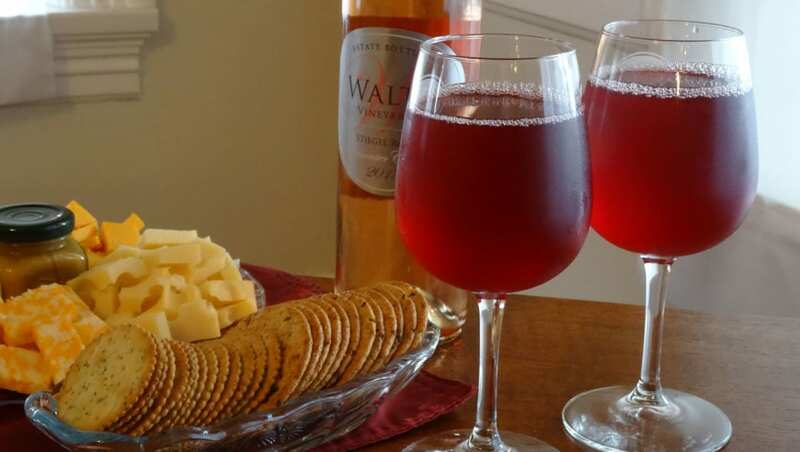 Treat yourself to our wine-tasting package or, for an authentic Lancaster County experience, ask about our Farm-to-Fork and Harvest tours. 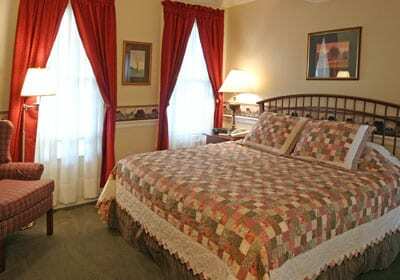 And our innkeeper is always glad to make suggestions to help you get the most from your stay. 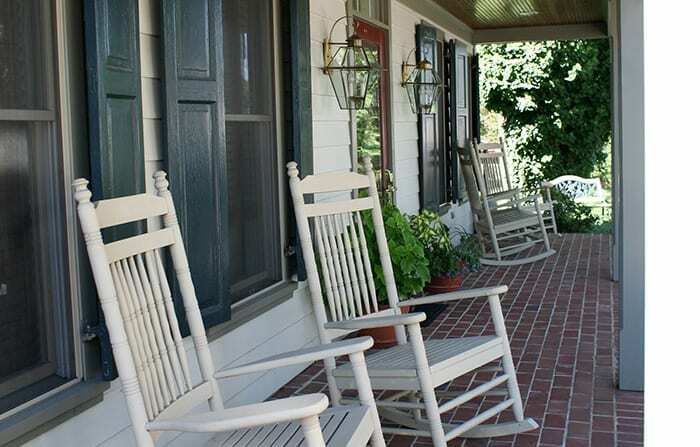 Guests often gather on the sun porch for relaxed reading and conversation while overlooking the rolling farmland. 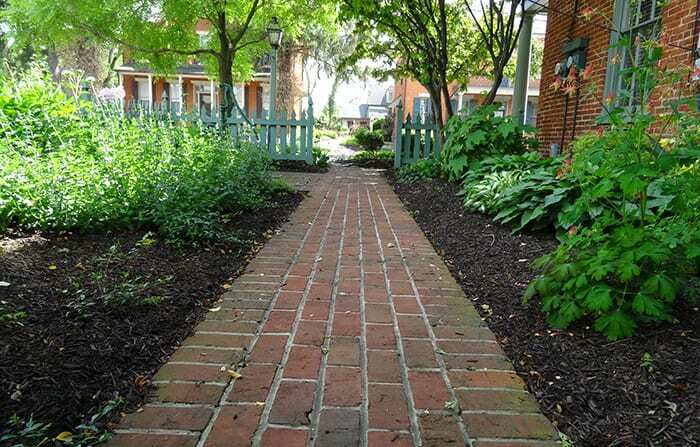 Opposite the original Inn, across Old Philadelphia Pike, are three 19th-century buildings that were restored and renovated in 2003. 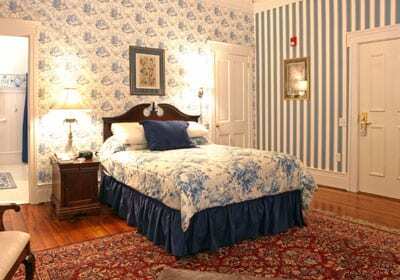 Featuring three suites, the Desmond House combines Victorian charm with 21st-century comfort and conveniences. 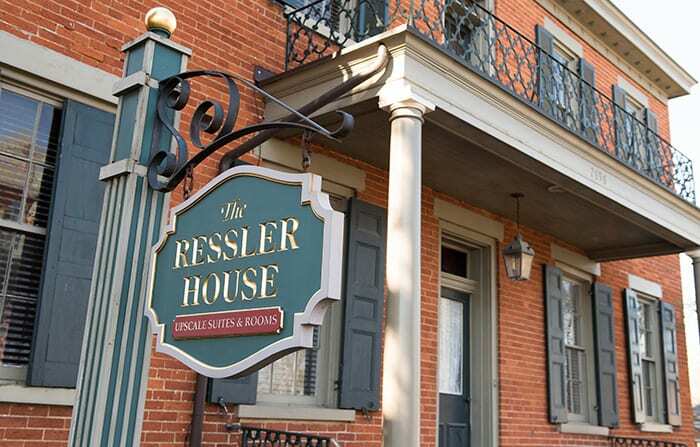 The Ressler House offers six rooms and suites and a breakfast room where our Guests can enjoy a deluxe continental breakfast and evening snacks. 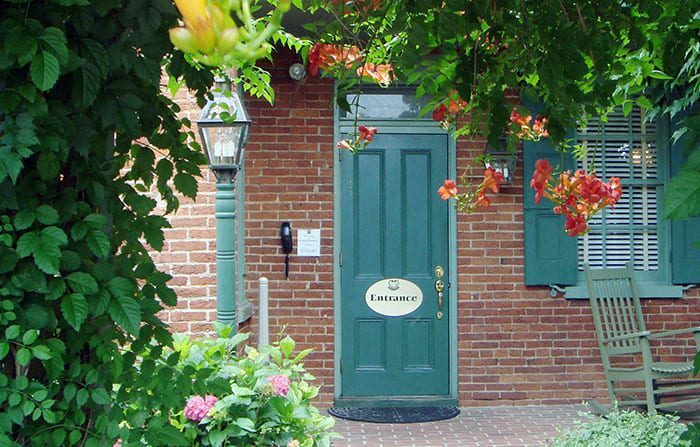 Behind them, adjacent to Amish farmlands, the Carriage House offers four two-room suites with kitchenettes, making it your perfect choice for an extended stay. 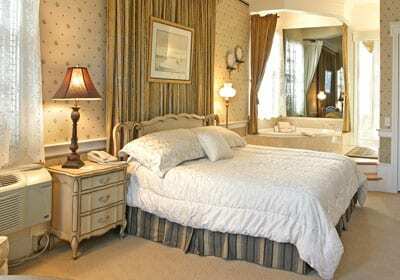 Because we have just 24 rooms and suites, we can offer a level of service and attention to detail that you will rarely find anywhere else. 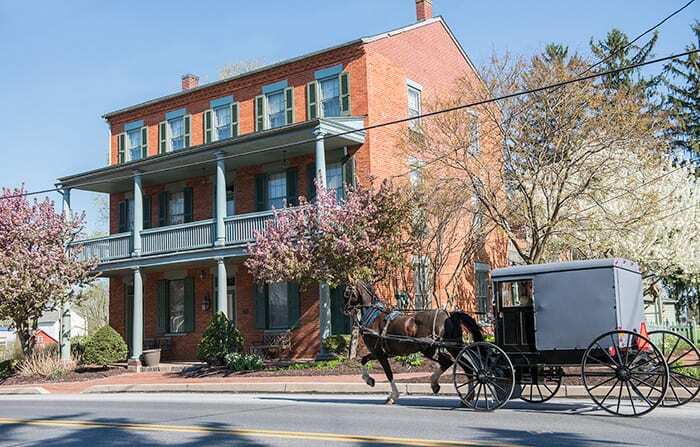 Whether you are planning a weekend getaway or a longer stay, celebrating an anniversary, organizing a girlfriends’ retreat or simply looking for a romantic bed and breakfast near Lancaster, PA, we can help you select the ideal room or suite for your visit to Amish Country. 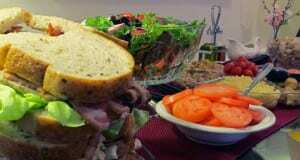 If you’re hosting a business meeting or a baby or bridal shower, we have the perfect place for group gatherings. The conference and meeting space in our Desmond House can accommodate up to 35 people theatre style, with a variety of other seating and set-up options available. Our accessible space offers convenient parking and a self-contained, first-floor location with adjoining restroom facilities. We offer attractive rental rates, and our meeting room is available free when you book 10 rooms or more.